People of the biblical world understood the illustrations used by their leaders, but many today, especially young people, do not understand these illustration without explanation. Moses had led the people of God through the wilderness, but was soon to die after viewing the promised land from Mount Nebo. He then appealed to the LORD to provide a shepherd for Israel. Joshua was to be raised up as a leader — a leader like a shepherd. 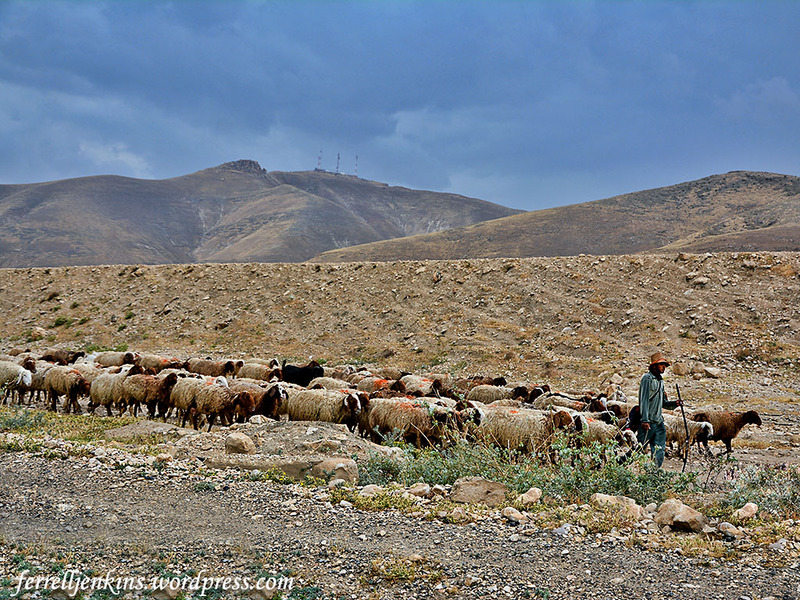 A shepherd leads his flock in the Jordan Valley. Photo by Ferrell Jenkins. Jesus used a similar illustration. Our photo provides a good illustration for those who do not have personal knowledge about shepherds and sheep. This entry was posted in Bible Lands, Bible Study, Culture, New Testament, Old Testament, Photography, Travel. Bookmark the permalink.